Every homeowner plans the design of their home with care and pays extra attention to choosing the right kind of furniture, décor, colors and design themes etc. But everyone yearns for a change once in a while and that’s when they consider renovating or remodeling their home. No matter how much you want a change in the way your house looks, it’s not always possible to make major alterations and additions; but it’s possible to make certain well-planned changes to alter the look of the interior and exterior areas of your home. We at Productive Quality Construction are a property maintenance and full-service construction company situated in Atlanta, GA. Over the years, we have built a very solid customer base here and cater to clients in and around the entire metro Atlanta area. We also serve customers in Gresham Park, Druid Hills, Decatur and North Decatur; and have successfully completed projects across North Druid Hills and East Point, as well as Belvedere Park. Our company has also handled a significant number of projects in Panthersville, College Park, North Atlanta, and the surrounding areas. Most people don’t want to move out of the neighborhood they live in and buying a home elsewhere isn’t always a feasible option. Every property owner has their reasons for considering getting a remodel done. Regardless of what those reasons are, we are the expert general contractors that can help you with your house remodeling project. We handle renovation jobs of all types and remodeling needn’t always be in the form of additions and extensions. Our designers will have detailed discussions with you about your requirement and what your objectives are with the remodeling plans. Based on this discussion, they will provide you detailed designs that incorporate your ideas and preferences. We can handle everything from altering the shapes of rooms, remodeling basement and attic spaces and building that extra bedroom over the garage. A well-planned remodel can increase the functionality, aesthetics, and value of your home. We have extensive experience in the field and focus on providing high-quality solutions that match the needs of our clients. Only the best grade materials and workmanship are used in the work and this means the features and additions will last for a very long time without any trouble. If you are looking for high-quality, customized home remodeling services, Productive Quality Construction is the company to contact. Feel free to call us on 770-217-7560 and discuss your project details with one of our experts. 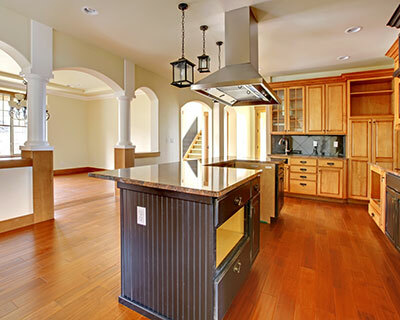 We provide end-to-end solutions at very cost-effective residential remodel cost.